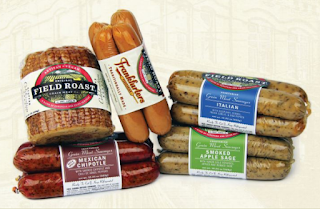 7 Kids and Us: Field Roast Products + Giveaway! When I was 17 I stopped eating meat. All meat. Not for health reasons, but ethical. I couldn't eat meat knowing that it had once been a living creature with legs and a heart and feelings. I know some people say animals have no soul so that's why it's ok to eat them. I definitely do not agree with that. When you don't eat meat, there are less choices, especially choices that don't contain soy. It seems that soy is everywhere, and I don't believe it's healthy to eat a diet rich in soy products, so I was on the hunt for something I could feed my family that was vegetarian, non soy, GMO free, and delicious. I found Field Roast products. So what is grain meat? Grain meat is made from wheat. It's wheat flour that has been kneaded and kneaded in cold water until only a thick protein remains. Then it's flavored, formed and shaped into products. 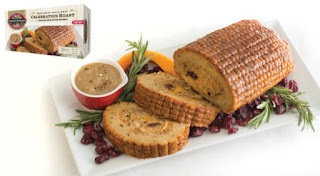 One of the first products I tried was the Celebration Roast. I was skeptical because I hadn't ever tried any grain meat, so I didn't know what to expect. Baking it was very easy, pop it in the oven, and it took about an hour. The smell was amazing! It was rich and filled the house. When we sat down to dinner, the family asked me if we were eating meat, because it resembled it so much! I said no, and we all tried it. The kids and I were super impressed! The texture is wonderful and the flavor is very close to what I remember a turkey tasting like. Definitely good! Next, we tried the Field Burger, I put them on buns with all the condiments, and they were a huge hit! We are now adding those into our rotating meal planning. Giveaway time! 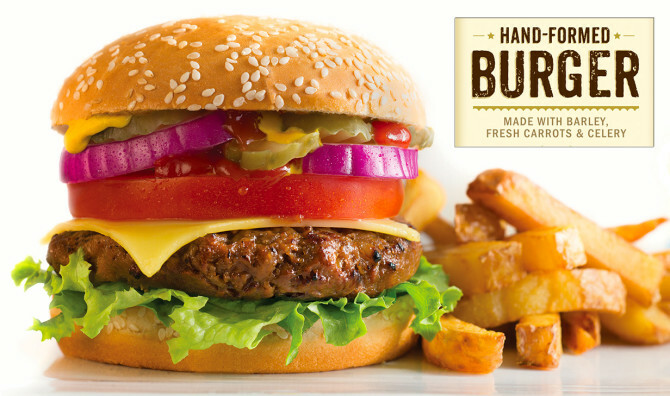 1 reader is going to win 2 free product coupons from Field Roast (arv $14.95 each!) Enter below, good luck!